The Venere.com, an online hotel reservations specialist, awarded db San Antonio Hotel & Spa, Malta, the Top Overall Rating 2013 award and the Top Clean 2013 award. These 2 awards are exclusively determined by Venere.com users’ feedback and vote amongst 135,000 properties across the world. 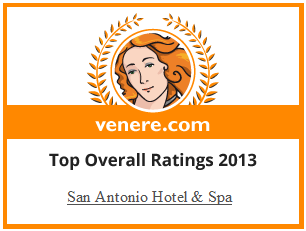 The Management would like to thank Venere.com’s users and hotel guests for such recognition. The Hotel will continue to strive for excellence in its service towards hotel guests.